Introduce the benefits of Brace Relief™ Gel to your office and teach your staff why it's not just for mouth sores anymore! 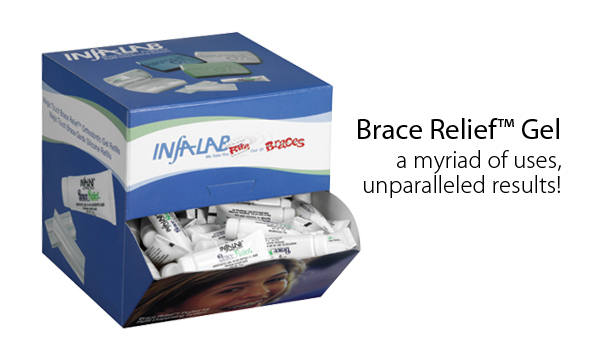 Since its introduction to the orthodontic industry, Brace Relief™ Gel has been known as the benchmark when it comes to providing quick healing of mouth sores due to orthodontic treatment. But did you know that many orthodontists are using Brace Relief™ Gel, with unparalleled results, for chairside applications that you don't? See our product flyer for more information. 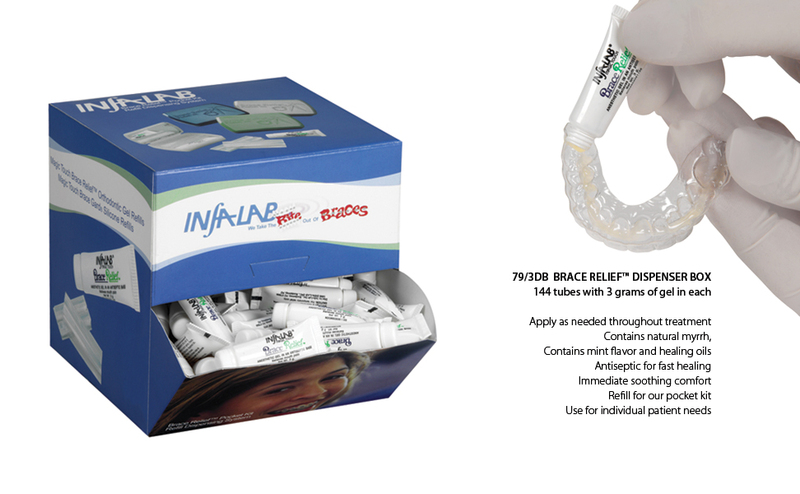 Orthodontic offices that have implemented the use of Brace Relief™ Gel during placement of elastomeric and/or nickel titanium separators, as well as ESSIX™* appliances, or Invisalign®** appliances, report that their patients have experienced more comfortable treatment than those treated prior to its use.